Whether you prefer your turkey deep fried or roasted and your potatoes mashed or sweet, Thanksgiving has one universal truth: it’s a time to be with family. You may love your Aunt Carol’s apple pie, but most pet owners would still prefer to give thanks alongside their dogs than some of their human relatives. We feel deeply bonded to the four-legged creatures we share our lives with and often treat them like real children (minus the chocolate turkey center pieces). But do our dogs reciprocate our familial feels? This Thanksgiving, we’re digging into the concept of family as it pertains to our pups. Do dogs recognize their own canine family members? Technically, yes. Research shows that dogs exhibit recognition for both their littermates and biological mothers. In one study, 5-week-old puppies were released into a room with wire enclosures on either side. One side housed the puppies’ mothers and littermates, while the other housed random puppies and adult female dogs. In both instances, the puppies were significantly more likely to walk over to the side of the room with their relatives than the side with strangers. Researchers hypothesized that these results were based on scent cues, and went on to successfully test this theory by repeating the study using towels with each dog’s scent instead of the dogs themselves. The results were nearly identical. Taking it one step further, they repeated the study with 2-year-old-dogs who hadn’t seen their mothers since they were 8 weeks old to see if recognition stood the test of time. Both mothers and puppies recognized each other more than 75% of the time. These findings may seem heartwarming, but recognition doesn’t necessarily mean that dogs miss or yearn for their relatives when they’re apart. Rather, these studies prove more about the link between recognition and scent cues than an awareness of familial bonds. So yes, dogs recognize their canine relatives. But do they feel the same kind of love for their mothers that we feel for them? How do dogs relate to their human families? There’s actually an encouraging difference between the way dogs recognize familiar dogs and familiar humans. Scent still drives this type of recognition, but dogs don’t just see humans as another member of their pack. 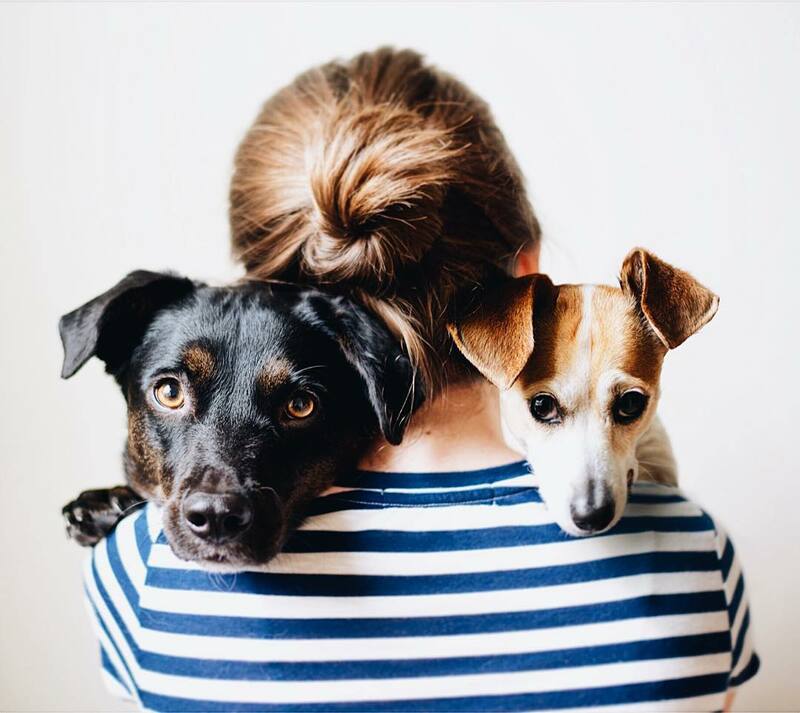 In other words, dogs know that humans aren’t like them, but they reserve a special part of their brains for the love and companionship we can provide. They’re not about to flash those puppy eyes at another dog, because they know dogs can’t provide kisses, belly rubs, or bowls of delicious food. They love their caretakers because we help them meet fundamental needs they can’t satisfy on their own. So this Thanksgiving, while you’re relishing the smell of home (aka butter) with your family, remember: your pup is also forming scent memories. They just have less to do with turkey and more to do with loving you.